For the first time in my knowledge Texas has 2 wrestlers in the NCAA Finals. 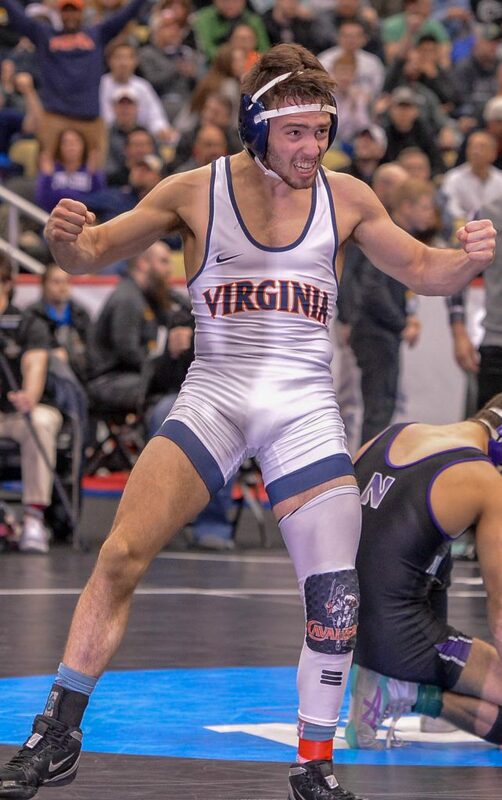 The whole nation expected Bo Nickal to reach the finals for the 4th time in his career but maybe only 3 national media people had Jack Mueller defeating Sebastian Rivera the #1 ranked wrestler to reach the finals. Mueller not only won the match but he dominated the entire match. Rivera didn’t have a chance with Mueller collecting over 5 minutes of riding time. Bo Nickal in his semi final match gets the fall to move him into the finals one match away from securing not only his 3rd consecutive National Championship but the top prize of the hodge trophy, plus making him only the 3rd 4 time finalist for Penn State, David Taylor, Jason Nolf and now Bo Nickal all in Cael Sanderson era.